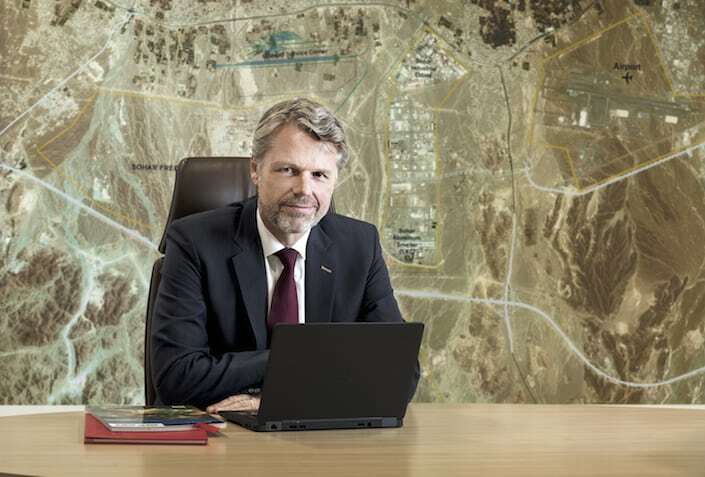 Mark Geilenkirchen, CEO of SOHAR Port and Freezone in Oman talks of recent and upcoming developments set to support its status as the new gateway to the Middle East. CEO Insight: What is the vision for SOHAR Port and are you satisfied with progress to date on achieving stated objectives? Mark Geilenkirchen: SOHAR is rapidly becoming a major industrial and logistics centre for the region, and the global market. 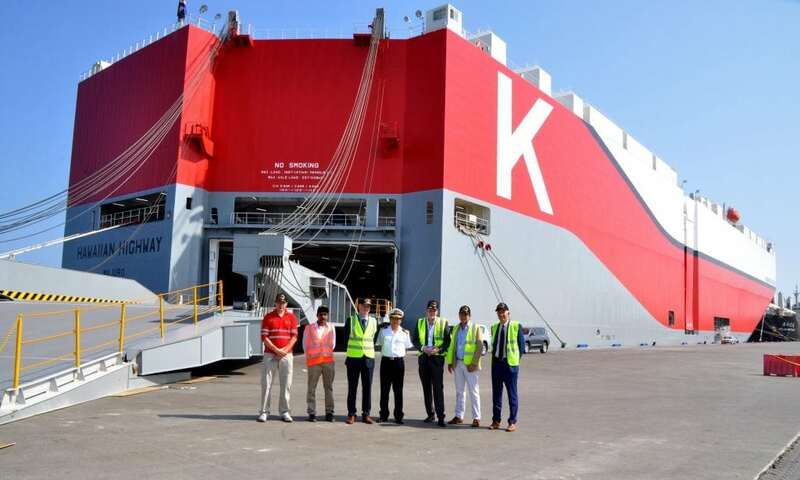 In fact, given its ideal location at the entrance to one of the busiest shipping lanes in the world, SOHAR Port and Freezone has developed as a crucial point for transhipment between the East and West. Our vision is to transform SOHAR into an important gateway for over 3.5 billion consumers in the wider region. Oman’s progress with economic diversification, coupled with its geographical location, stable political climate and excellent infrastructure have all contributed towards the Sultanate’s growth within the regional logistics sector in recent years, with SOHAR at its core. CEO Insight: To what do you attribute the Port and Freezone’s continued growth and prosperity, as evidenced by impressive recent increases in throughput and its ever-growing popularity for serving Middle East, Indian subcontinent and East African markets? 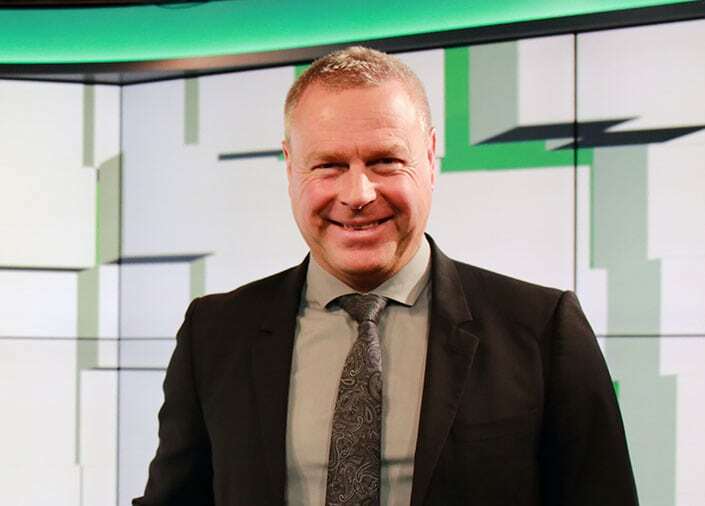 M.G: Aside from the points mentioned, a major factor has been our strong relationship with the Port of Rotterdam. We have leveraged their six centuries worth of experience in establishing our operational procedures, adopting a number of their industry practices with regard to the principles of environmental protection and technological innovation. Even though we are a comparatively new port, we are in many ways paving our own path towards development and growth, whilst still keeping in mind the shared knowledge and close ties with the Port of Rotterdam. Our more recent successes have also been driven by an increase in quarried aggregate cargo volumes and continued investment at the port. The growth increase was further due to a major focus in the food sector, as well as ultimately securing major public and private sector investments to establish the agro terminal and food cluster at the port. This emphasis on food storage, production and distribution will play an integral role in acquiring a larger segment of the reginal food products cargo trade in the future. CEO Insight: Which current and forthcoming developments are set to reinforce SOHAR’s status as the region’s greenest port and which initiatives best illustrate its commitment to sustainable development? M.G: At SOHAR, we have always been committed towards protecting the environment and sustainable development, leveraging our close ties with the Port of Rotterdam and our own research and development to incorporate industry best practices to ensure our environmental footprint is kept to a minimum. Furthermore, we have named 2018 as the year of ‘Smarter Thinking’, encouraging the development of innovative ideas that will boost efficiency, whilst also modernising and simplifying operations at SOHAR. As an example, the steam by-product produced by the oil refinery at SOHAR has significant energy potential. A pipeline to carry steam to other industries, where it can be utilised to boost production and reduce energy costs, is being considered. Another under-utilised by-product, hydrogen, is also being looked into as a power source conversion. Additionally, the installation of PV solar cells around our head office is expected to significantly reduce our overall electricity consumption from the power grid. 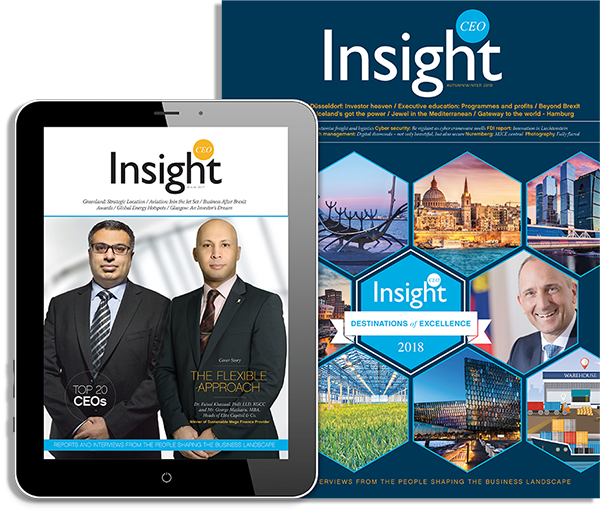 CEO Insight: What can you tell us of SOHAR’s place within the wider booming investment in developing multimodal port and freezones across the GCC and the explosive growth in Oman’s logistics sector? M.G: SOHAR is one of the fastest growing ports in the region and has proven itself to be a smart decision for investors. Aside from our location, the key attractors are the high levels of government support, easy-to-obtain project financing from local banks, 100% foreign ownership and seamless connectivity to key global markets. Additionally, due to its close proximity to the free zone, SOHAR also features a unique capability being able to support the entire supply chain, right from production to delivery, in one easily accessible area. All of these factors collectively make SOHAR the optimal location to setup a business; in turn making the port integral to the country’s national focus on developing the logistics and industry sectors in line with the ongoing economic diversification efforts. Indeed, our performance in 2017 is a clear indicator of the port’s stable growth trajectory and its growing role in the region’s logistics sector. Despite instability in the maritime sector worldwide, SOHAR handled over one million tonnes of cargo every week, on average, in 2017. The Port’s container traffic rose by 37 per cent while dry bulk output increased by 25 per cent. SOHAR Port also received 3,075 vessel calls in 2017, which was a 17 per cent increase. This performance is only expected to get better with the completion of the Food Cluster and SOHAR Port South expansion, both of which are expected to boost aggregate cargo volumes and investments at the port. CEO Insight: Is SOHAR set to expand to further cement its claim to be a mega trade and logistics hub and premium gateway to the Middle East? If so, how? M.G: We aim to do so with our Sohar Port South expansion, one of our major projects for this year. The plan is to reclaim around 200 hectares from the sea, starting with approximately 50 hectares in the first phase and adding more land area in subsequent phases. For the development of this first phase we have already contracted Dredging International NV – Earth Moving Worldwide LTD (DINV-EMW JV). With an investment of USD 24mn (approx. OMR 9.24mn), the agreement will see the development of the first 50 hectares of useable land within the next seven months. Due to its close proximity to the bustling petrochemicals cluster, including the Liquid Berth and Tank Terminal, this expansion will be assigned almost exclusively for oil and gas-based investment. In fact, investors have already begun lining up to take advantage of the additional 200 hectares. One of the first investors on-board is Trescorp, a Singapore-based oil and petroleum products trading firm. In September 2017, the company signed a pact with SOHAR to develop a 45-hectare terminal for the handling, storage and blending of crude oil, fuel oil and diesel at the port. Trescorp’s Sohar venture requires deep water berths of 25m drafts to handle supertankers of up to 320,000 DWT capacity. 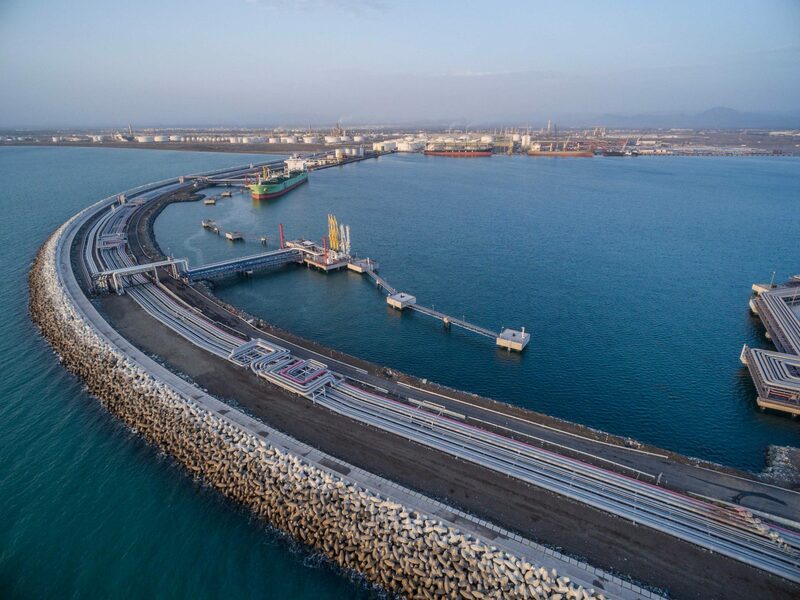 The total investment in the project, which will include facilities for other petroleum products in the next phase, is estimated at USD600 million and will generate significant employment opportunities within SOHAR Port and Freezone. CEO Insight: Which other upcoming developments are you most excited about and why? Another major project underway is the USD 300 million cotton yarn manufacturing plant. The plant is owned by ShriVallabh Pittie Group (SVP), which is one of the largest manufacturers of cotton yarn in India and a global leader in the sector and is expected to start commercial operations in 2019, with an output of around 150 metric tons of yarn a day. 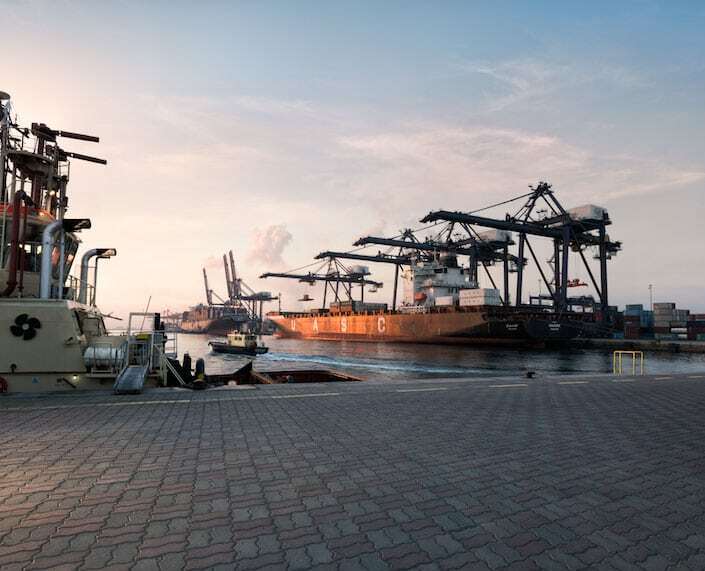 It is forecast to import 100,000 tonnes of cotton through SOHAR Port every year, with around 50% coming from the US and the remainder split between Australia and India. The plant will then produce 75,000 tonnes of finished yarn each year, which will be exported back through the Port to global markets. More importantly, the new SVP facility is the first step towards establishing a fully-fledged textile cluster at the SOHAR Freezone and is set to generate employment for over 1,500 people. The biggest investment that is currently underway at the port however, is one from the state-owned Oman Oil Refineries & Petroleum Industries (Orpic), which is building the USD 6.5 billion Liwa Plastics Industries Complex (LPIC) project. The project is well into the construction phase and is the largest of the three strategic growth projects undertaken by Orpic to fulfil its vision of building an Omani integrated refining and petrochemical business. When completed in 2020, the project is set to transform Orpic’s product mix and business model, create new business opportunities for the downstream plastics industry in Oman and new careers for citizens.New Gateway to the Middle East.